Mingle with marriage-minded Philippine singles in one of our romance tours! Rare is the chance to meet beautiful ladies in the islands of the Philippines. Maximizing the chance to win her heart takes hard work, and starting from ground zero on your own can be disappointing at times. However, due to the increased number of people that have the common goal of finding the love of their life, several marriage agencies and matchmakers have risen in popularity. 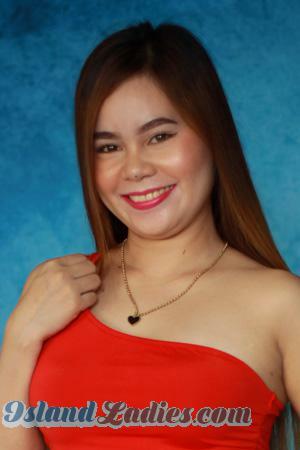 Island Ladies is the best Philippine marriage agency and matchmakers in service for decades now, which has been helping single foreign men and Filipino women find each other for a lifetime of love and marriage. Your interest is our top priority. We cater to your needs and wants in the most excellent way that we can and in your most convenience. We are not just geared towards finding you a match, but we dedicate ourselves in long-term achievements in making your marriage successful. We’ve been successfully operating in the singles’ industry today because we are more than just a professional dating service that offers marriage assistance, we are also in the matchmaking business to serve our clients the best way we can. We value your trust towards us and we strive to help you find a marriage-minded woman who is capable of giving you love and satisfaction that lasts a lifetime. Avail of the huge advantage that the Island Ladies matchmakers offer to you! Register here for free and allow us to work for you immediately. Right after you accomplish your registration, your profile will be ready for the matchmaking process. Our professional matchmakers do most of the work at NO ADDITIONAL COST! After they have introduced your profile to hundreds of Philippine singles who are also members of our agency, letters from interested island ladies will start pouring in. Enjoy our guaranteed high-quality service just for you! You don't get matched by a robot, but by our real, live matchmaker staff. This way, you can be certain that the women who are trying to connect to you are legit and real. This service is what truly sets us apart from other dating sites and marriage agencies in the industry today. Island Ladies is under the umbrella of a well-established US-based agency which is critically acclaimed at recent iDate Awards international singles conventions as “Top Matchmaker”, “Best Niche Dating Site”, and “Best Singles Affiliate Program”. We continue to set the benchmark in the singles' industry, as we exert more effort to revolutionize our distinct approach, superior customer service (our hotlines are active; you can CALL our offices during normal U.S. business hours), and outstanding culture within the company. The title that we have maintained for several years now as one of the best matchmakers in the country serves as our greatest motivation to do more and be more for our valued clients. Our agency is organized with corporate offices spread throughout the country. We assigned numerous affiliate offices in some regions that work with us to serve all our members in every way possible. Our matchmakers are available wherever island you are in the Philippines. You can expect to receive more than enough assistance from our local staff as you journey towards your greatest love. Join our renowned singles’ tours to meet single Filipino ladies for love and marriage. All the profiles of single Philippine women members are personally verified and authenticated by our local team in each of the ladies' region. This is to protect the privacy and security not just of our male clients, but also the women themselves. With this in mind, security won’t be an issue with your free membership. Do not hesitate to set up your own account and log in so you will have full access to all of the women's photos, videos, and other relevant content. 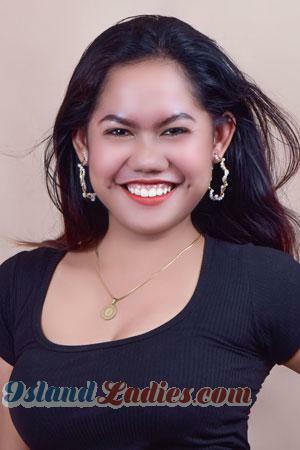 You are in full control of your account; we give you the freedom to choose whom you want to communicate with using our various tools and the support that we provide to you --- be at ease while you connect the strings of your destiny with a Filipino lady! Take Advantage NOW of the Best Philippine Marriage Agency and Matchmakers! How to meet Philippine women for marriage is certainly one of the biggest questions that clients like you might have in mind right now. To learn more about this however, you MUST create your account first. This is a FREE step that you should not miss. In decades of service, we have already transformed many lives. Your life can be the next in line. Are you ready to take the steps towards a happy and fulfilling life with a Filipina bride? If so, click on the button below. Once you have successfully created your account, make yourself familiar with how our service works and all of the options available for you. In the site, enjoy learning from our free contents such as tips, FAQs and other useful information which are developed by our professional matchmakers. They will in one way or another, lead you to achieve your goal of getting in touch with your potential Filipina bride.